After a busy January, the XYZ Team finally got a chance to catch their breath before hosting an event of our own later this month. However, that doesn’t mean that we didn’t go anywhere in February! Check out our RSA recap and a list of events to look forward to in March. The RSA Conference took place in San Francisco last month, and Team XYZ was in attendance representing .Security and .Protection domains. 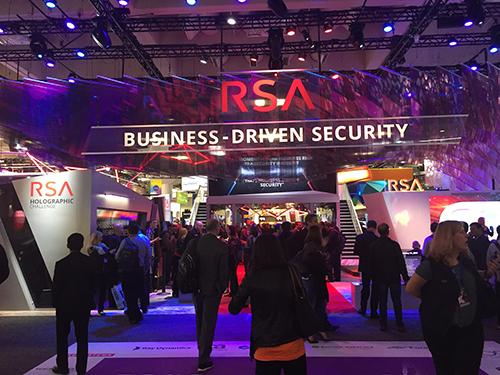 RSA is one of the leading cyber-security conferences in the world, with over 45,000 security professionals in attendance this year. The event gave the XYZ Team a chance to meet with businesses and industry insiders about the benefits and best practices for .Security and .Protection. More importantly, this was an opportunity for XYZ to further establish itself in the cyber-security space. It’s already well-known that XYZ takes a zero-tolerance policy against all forms of abuse, including spamming, phishing, malware, and other illegal activities. But did you know that .xyz has a lower abuse score than TLDs like .com, .net, and .info? In fact, according to nTLDstats, there is less than 0.03% abuse in the .xyz zone! We’re very proud of the industry-leading abuse mitigation tool we’ve developed and couldn’t help but to show it off to some of the experts we met at RSA. We explained that by proactively monitoring our zone and analyzing over 100 data points from respected sources like Google and Spamhaus, .xyz has become a safe, reputable namespace that people can confidently conduct business in. Missed us at RSA? Abuse experts and researchers are encouraged to contact us to discuss partnership opportunities and ways to make the internet safer. South by Southwest (SXSW) is just around the corner, and the #XYZsquad is gearing up to take over the streets of Austin once again. You might have seen these purple people in the past on the news, at parties, or even leading the SXSW parade. This year, the #XYZsquad will be handing out thousands of 3D glasses for our exclusive 3D Lab. Best of all, everyone has a chance to win free prizes just by solving the riddles! We also have a festival-wide scavenger hunt in the works that will be taking place throughout Downtown Austin, along with some other new tricks up our purple suit sleeves. Stay tuned to our Twitter, Facebook, and Instagram pages for more information on the scavenger hunt and live posts from SXSW starting on March 10th! At the same time that the #XYZsquad is air-flaring and parkouring at SXSW, ICANN 58 will be taking place in Copenhagen, Denmark. Shayan Rostam will be there to meet with registrars and resellers to discuss our next big marketing campaign, as well as share other exciting news about our domains. Are you attending ICANN 58? Schedule a meeting with Shayan to discuss marketing and partnership opportunities by contacting us. Following ICANN, we will be hosting the first ever SoCal Domainers + Southern California Cybersecurity Professionals meetup. 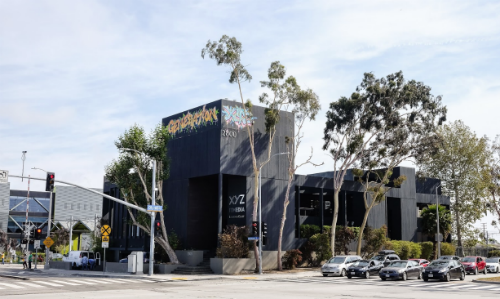 Starting at 6:30 on March 30th, everyone from the domain and cybersecurity industries are welcome to stop by for a drink at the XYZ office here in sunny Santa Monica. 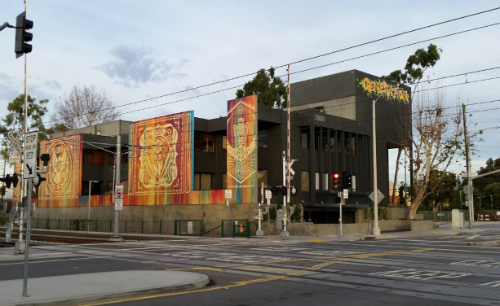 Although this is the third time we are hosting the event since 2015, it will be the first one since Shepard Fairey and Risk did an original mural on our building. If you happen to be in the area on March 30th, stop by for a night of food, drinks, and great conversations. Check out the MeetUp page for more information and to reserve your spot at the event! As you can see, March is going to be an exciting month for us, with a lot planned! If you plan to be at SXSW, ICANN 58, or live in Los Angeles, let us know on Twitter and we’ll arrange a meeting.